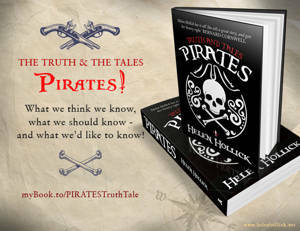 Welcome to my stop on Helen Hollick’s blog tour for Pirates: Truth and Tales. I’m pleased to be able to share a fabulous guest post with you today. My thanks to Helen for asking me to be a part of the tour. It was a harsh life for those who went ‘on the account’, constantly overshadowed by the threat of death – through violence, illness, shipwreck, or the hangman’s noose. The lure of gold, the excitement of the chase and the freedom that life aboard a pirate ship offered were judged by some to be worth the risk. Helen Hollick explores both the fiction and fact of the Golden Age of piracy, and there are some surprises in store for those who think they know their Barbary Corsair from their boucanier.Everyone has heard of Captain Morgan, but who recognises the name of the aristocratic Frenchman Daniel Montbars? He killed so many Spaniards he was known as ‘The Exterminator’. The fictional world of pirates, represented in novels and movies, is different from reality. What draws readers and viewers to these notorious hyenas of the high seas? What are the facts behind the fantasy? 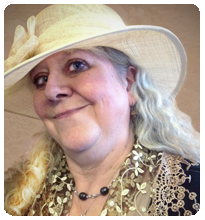 Helen Hollick reveals all, weaving into the history her own fictional creations. Well, that all sounds very swashbuckling doesn’t it? When I was approached by Amberley Press to write a non-fiction book about pirates I was not sure whether to accept the commission or beat a hasty retreat towards the horizon. Apart from one small notebook-type tips for novice indie writers, which I had written with my editor – primarily because we were inundated with authors seeking advice and we were tired of sending the same email out – but otherwise the world of fact was outside the remit of this long-in-the-tooth fiction author. ‘But hang on,’ I said to myself, ‘look at the research you have done in the past for your historical fiction.’ I had spent an entire year researching the factual detail for my novel of the events that led to the Battle of Hastings in 1066, Harold The King (titled I Am The Chosen King in the US). And what about all those research notes for the Sea Witch Voyages? That first adventure in my nautical series sprang from the interest I had taken in reading several non-fiction books about pirates. That inner voice made sense. (Maybe it was my pirate character whispering to me? I wouldn’t put such persuasive arm-twisting past him!) And it was true, I had already undertaken a lot of research into all things piratical. I was certainly no expert, but enthusiastic interest goes a long way towards being at least a little knowledgeable. Johnny Depp is to blame. OK, more accurately, Captain Jack Sparrow must take the responsibility for my passion. I loved that first movie of the Disney franchise, Pirates of the Caribbean – The Curse of the Black Pearl. (Must add: I didn’t think much of the others.) Yes, P.O.C. #1 was pure fantasy, completely nuts, had a very basic, well-used plot, was littered with continuity bloopers and was very much a ‘Hollywood’ movie into the bargain. But my goodness wasn’t it great fun! I took those non-fiction pirate books with me to read while on holiday on the Dorset Coast, and as I read and made copious notes, fiction scenes surged into my mind. Again and again the thought, ‘This would make a good scene’ plunged into my imagination. Alongside those ideas the characters tumbled in as well: amiable Frenchman, Claude de la Rue, First Mate. Captain’s self-appointed steward, the curmudgeonly grump, Finch. Phillipe Mereno, a bully of a half-brother. Stephan van Overstratten, a rich Dutch merchant living in Cape Town who has a fancy for the female lead; young and pretty Tiola Oldstagh, midwife, healer and White Witch of the Old Ones of Craft. She is waiting for the stars to align to meet up after lifetimes of waiting, with her soul mate… my pirate captain. She sees him for the first time in person when he and his crew attempt to attack the Dutch East Indiaman that she is aboard. It is to be a while before they meet again. Treasure. Pirates. Rivalry. Romance. Smell the sea, feel the wind, hear the ship creaking… Will he get his girl, or will the hangman get him first? Problem. I had not yet ‘met’ him. One simply cannot write a swashbuckling nautical tale of high sea adventure based around real events of the early 1700s, without a charming rogue of a hero, can one? I spent the last day of my holiday strolling on a rain-drizzled beach planning out every chapter of what would become Sea Witch. I sat on a rock to think. Looked up, and there he was, standing a few yards away in full pirate regalia. He touched his hat in salute and I saw a gold acorn-shaped earring dangling from his earlobe. ‘Hello Jesamiah Acorne,’ I said. He grinned at me, then vanished back to wherever he had come from. So that, dear reader, is how my pirate captain introduced himself. I was confident enough to write a non-fiction book that include chapters about favourite tales in fiction and movies alongside the nitty-gritty of the truth about pirates. After all, I have the advantage of ‘knowing’ my very own pirate. What do you mean Jesamiah isn’t real? Of course he is! Aren’t all fictional characters real to their creators and readers? Thanks for such a fabulous guest post, Helen. And yes, all fictional characters should feel very real to the reader. These links will take you to the Home Page of each blog host – Helen says thank you for their interest and enthusiasm! For exact URL links to each article go to Helen’s website which will be updated every day of the tour. Thank you for welcoming me aboard: fair winds seem to be following me – along with some very lovely readers! Thanks Helen for reminding me that historical fiction (any fiction) is a magical combination of fact (or what we think is fact!) and fiction. So of course the characters are real… fascinating blog.